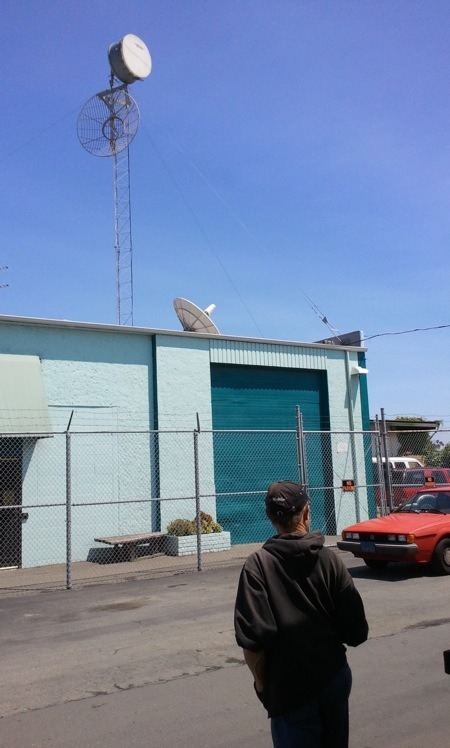 When I walk up to the modest headquarters of Family Radio in an industrial area down the street from the Oakland Athletics' ballpark, the first person I encounter is a middle-aged man in a T-shirt opening the barbed-wire gate that encloses the building. Noticing my notebook, the man looks around to make sure no one else is in the parking lot. He walks over and leans in. "This hasn't come through in the news reports, but I'd say 85 to 90 percent of the staff doesn't believe what Camping says. We're coming to work next week," says the man, who processes mail for Family Radio. 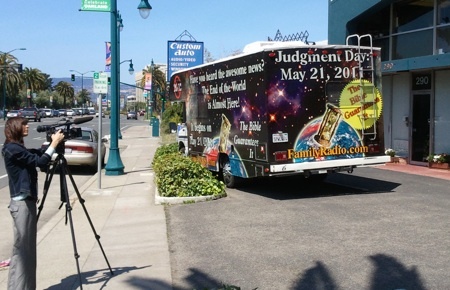 Camping, of course, is Harold Camping, the 89-year-old radio prophet whose numerological analysis concludes that on May 21, 2011 -- this Saturday -- Christ will return and the world will be destroyed by an epic earthquake. 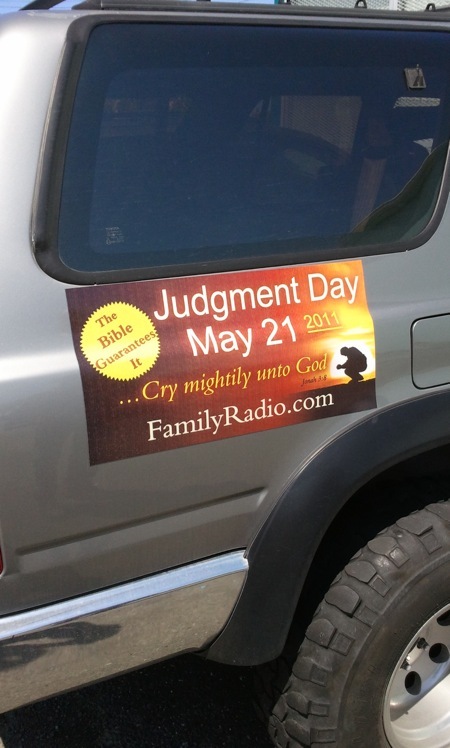 He and a movement of significant but unknown size have devoted themselves to buying billboards, distributing pamphlets and preaching on the airwaves to warn the masses that Judgment Day is afoot. There are stories and rumors of Camping's followers blowing their life savings, becoming alienated from non-believing family members, and even putting down their pets, all in anticipation of May 21. It's become a big business for Camping, with Family Radio now comprising 65 stations around the country and taking in millions of dollars every year. When I arrived at Family Radio Thursday afternoon, the building had been locked up and the remaining skeleton staff, fed up with media attention, wasn't letting anyone in. Camping was said to be at home. 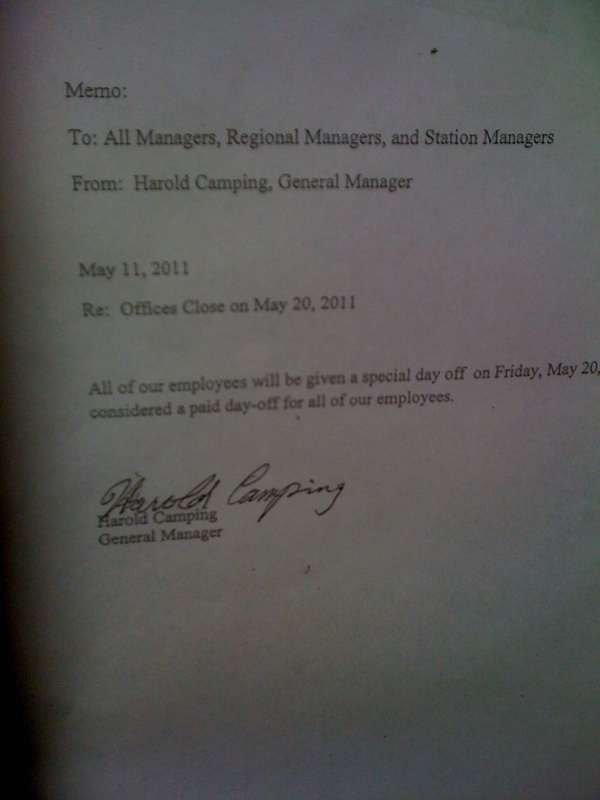 Today is a paid day off for the staff, according to a memo Camping sent employees. That it's paid seems to be a concession to the possibility that the world will go on. But there were a few die-hard Camping listeners hanging out in the Family Radio parking lot on Thursday. One, a middle-aged former stockbroker named Chris, told me he's not sure about May 21 but "anything can happen." "I think I may well be the messiah," Chris confided to me. "I've been on a journey for several years now." Chris, like several other Camping listeners I encounter, is down on his luck. He's been without a permanent address for five years. Another listener named Mike came to Family Radio headquarters seven weeks ago, at which point his minivan promptly broke down. He's been sleeping in it ever since. Others say they left their lives behind and came to Oakland this week from as far as Milwaukee and North Carolina, though none wanted to give their names. Here are a few photographs from outside Family Radio.